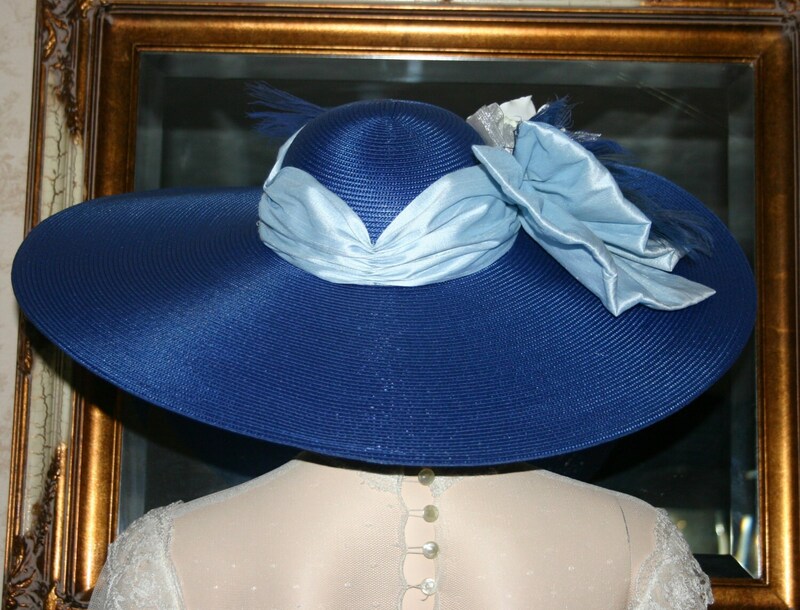 Kentucky Derby Hat "Sweetheart of Georgia" is a hat perfect for Ascot too! It would also be great for a tea party, picnic hat or barbecue. 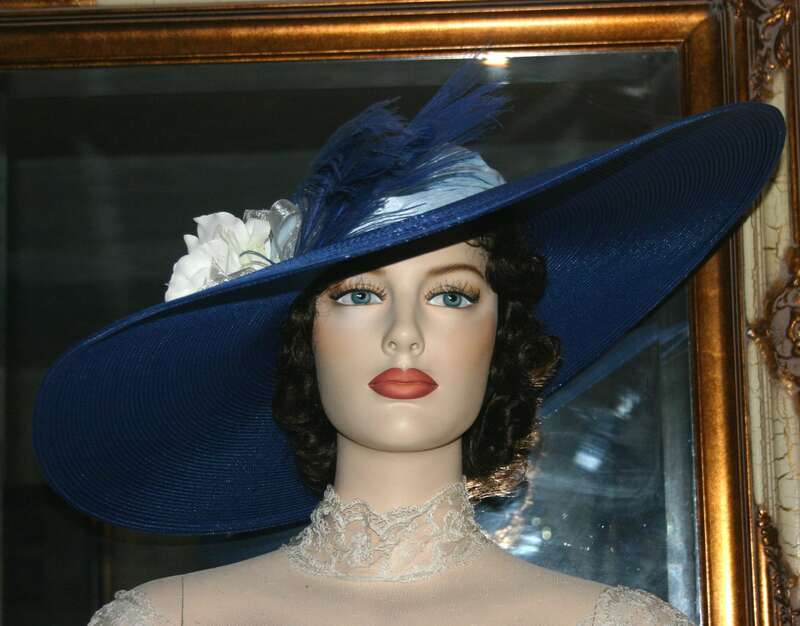 It's designed over a 22 inch wide designer straw base in a cobalt blue. 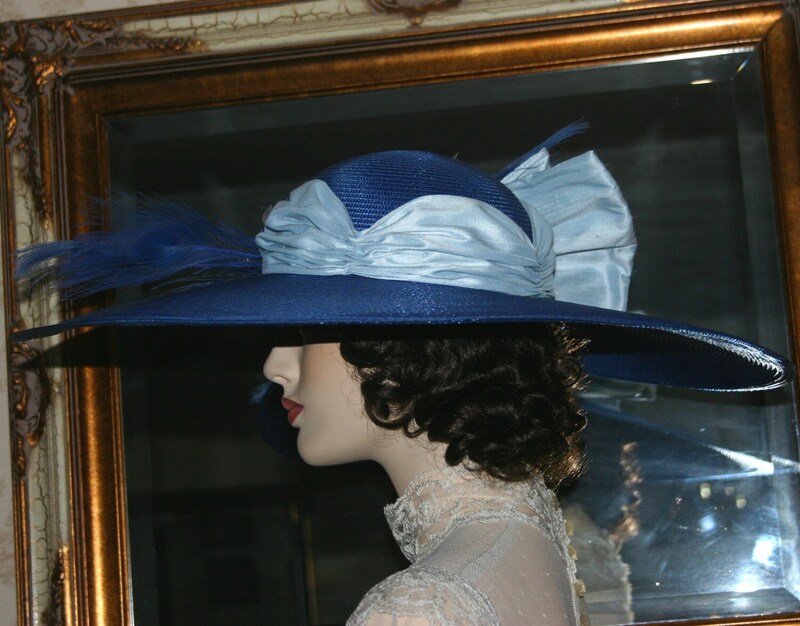 The hat band and bow are blue silk. 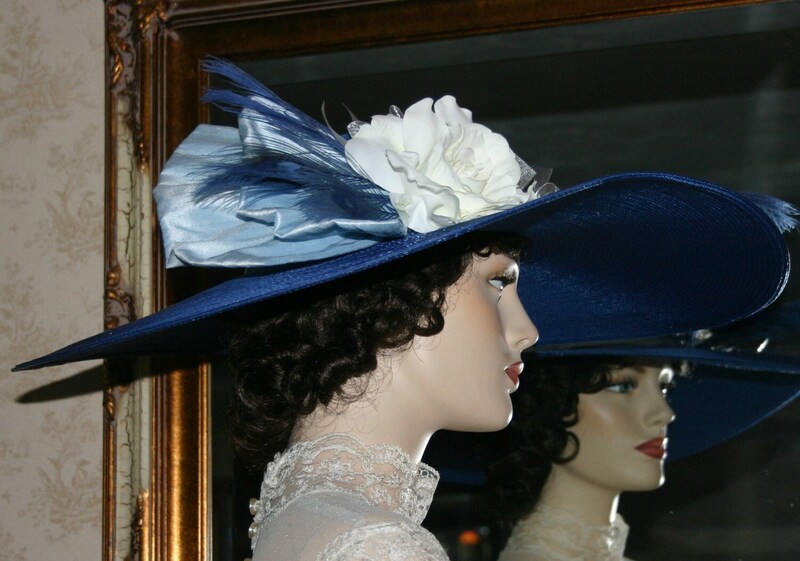 The hat is accented with blue peacock feathers and a lifelike white silk rose. This hat is very elegant! Perfect for your tea party, the derby or even a wedding. This hat is too wide brimmed for my hat boxes, it arrives in a sturdy shipper that can double as a hat box. I'm always on the lookout for XLarge hat boxes. This hat size measures 22 5/8 inches and if needed I can include a hat size reducer so it can be made smaller for a perfect fit. Please see instructions below: How to measure your head. Due to the nature of the hat and the fact that all items are hand-made and in many cases one-of-a-kind, there are absolutely no refunds.